I had a sleep soaked with dreams. Though I cannot remember most I have the sense that many were light-hearted and quirky. Pleasant, inoffensive dreams. The one dream I recall more clearly was different. It was about mum, the first dream of her that I can remember since she died. Though the cancer that killed her is a central part of the dream she is alive throughout it. It seems we are preparing the way for when that terminal moment comes. It’s different to how it was – the world depicted is a fantasy, perhaps allegorical. There is something plain and simple in it, almost calmly measured. Dreaming of it made it hard, as if she was alive still and there remained the possibility of hope. The mum in my dream was my best mother. I woke, and wondered what it meant. For a moment I wondered if there was a message in it for me; I even wondered if the message may be from her. As always, as is a frequent and regular occurrence, I felt a brief shaft of piercing grief. Very uncomfortable night. I dreamt so much that I felt as if I didn’t get any rest at all. A few times I woke up thinking it was much later. Every time I lay there listening to the incessant rain outside. Then I would fall asleep again and dream once more. I had one very interesting dream. It’s set sometime in the near future, the cities are in ruins and dinosaurs and lions roam the countryside. I escape from a pack of ravenous lions and pick my way cautiously through the remnants of the city. Most things are wrecked and looted, and the people seemingly disappeared. Here and there I come across people as I seek shelter and food while I wonder what has gone wrong – it’s as if I’ve been parachuted into the place. I discover what happened in the fragments people tell me. Not long before, when society was at the height of its wealth, a time machine had been invented. It had been big news. A team of adventurers went back in time twice and returned with their fantastic tales. Everything changed though on their third trip into the past. Even as they returned things were changing. 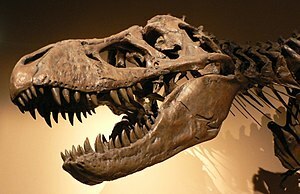 Quite remarkably dinosaurs had appeared on earth along with other prehistoric creatures. They ravaged the countryside and overran the cities. It turns out that on their third trip into the past the adventurers had changed something, which in turn changed the future. Rather than the dinosaurs dying out they had lived, along with myriad other artefacts from the past. It was the doom of civilisation. It’s a fascinating concept, and quite cinematic. I might write of it except that Ray Bradbury already has in one of his stories. Anyway the dream goes on, and it becomes a quest to find the time machine somewhere in the ruins of the city and to go back to a time just before the third trip in order to prevent it – and to set things back to the way they were. The dream ends before that happens, but along the way I have many adventures on the side. I remember too my mind being taken up in the paradox of time travel – of which there are many. I felt as if I was awake thinking these things in breaks in the dream, but I think that was an effect – this was part of the dream to, whatever it means. It’s a variation on the grandfather paradox. You figure it out. I’m in the middle of a heavy dream cycle period. Seems to be the case that for a bit I’ll likely have dreams, but never remember a moment of them. Then, abruptly it seems, I’ll begin dreaming and recall them. I may not dream any more at that stage than at any other, but it seems to me in the cold light of day that my dreams are fertile and surreptitiously meaningful – and right now, quite creative. The last couple of nights have seemed full of dreams. Doubtless it’s an illusion, but it seems I dream from the moment I shut my eyes to the moment I open them. I remember most as I wake, but many fade through the day. That seems a normal circumstance. What I remember are the dreams that have impressed me most. I dreamt in one case that I’d boarded a plane for destinations unknown. I was in a different seat from normal, perhaps in first class where I had many more options available than I was used to in an economy seat – but then, this is a dream. I remember I sat by the window as the plane took off. It was an unusually swift take-off, and there was the sense that the pilot had jumped the queue and taken off out of sequence. He seemed in a hurry. We flew low, so low that it felt like we skimmed the tops of trees, a little above the cars on the road beneath us. At one point we flew under a bridge, and never once did we seem to gain much altitude. It was scary I guess, but also thrilling. It felt as if we were in the hands of a maverick individual. The other dream was more out there. There I was transported into a strange world were the city had a roof atop it. The tallest of the buildings, all graceful and futuristic with tapering curves, would join up to the roof like columns supporting it. The roof itself – or the ceiling on the underside of it – was painted. Each day a team of artists would hang from the ceiling re-painting it to depict the stated weather of the day as seen from below. Some days might be clear, blue sky perhaps with a smattering of happy clouds. On other days it might be overcast, or even stormy, and so the artists would paint that. The world the citizens of this city saw was artificial and manufactured. Essentially they lived in a bubble. What’s to be made of that? Open to ideas.